There is nothing like a green grassy yard. It brings back memories of childhood and summers running through the sprinklers. 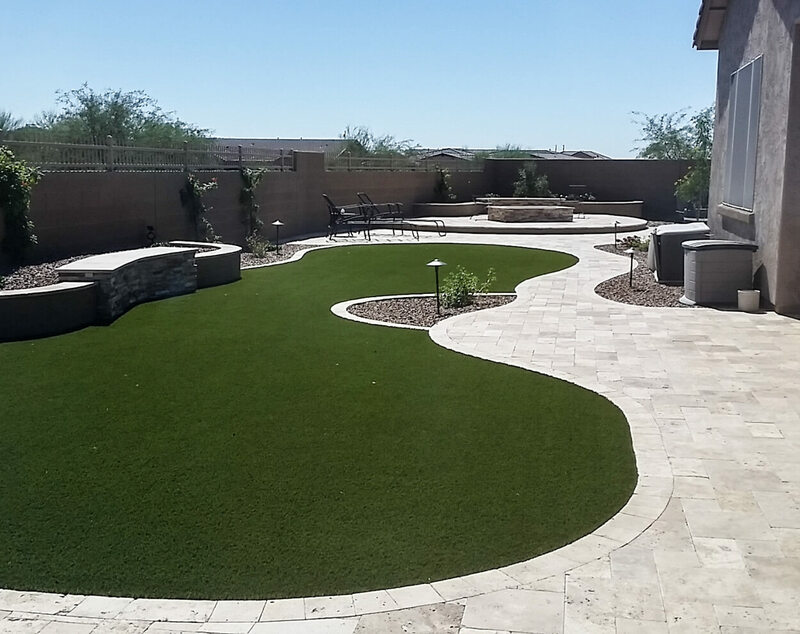 In Phoenix creating a green yard is easier said than done. Straight Line has the training and expertise to create the green space you want in your yard. We can recommend the grass species that will do the best and provide professional installation complete with sprinklers. 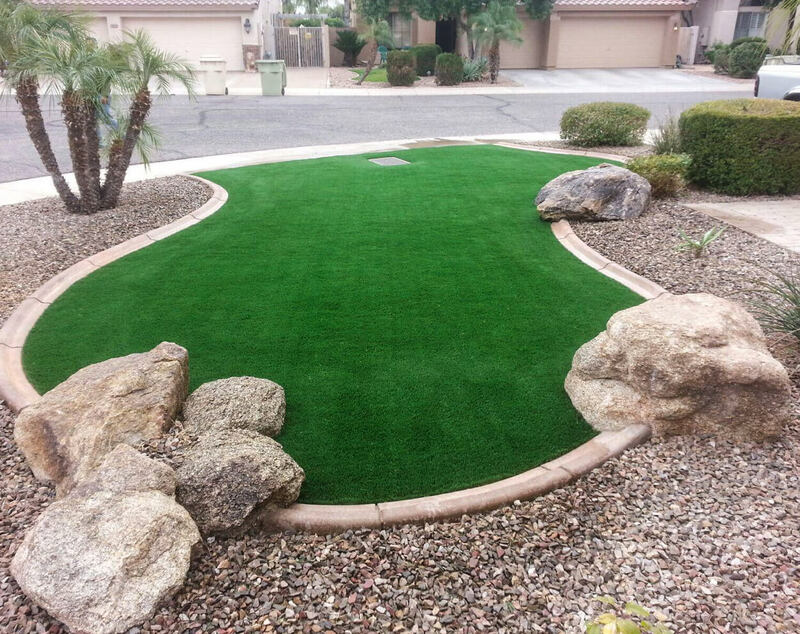 An option that is gaining popularity is artificial turf. 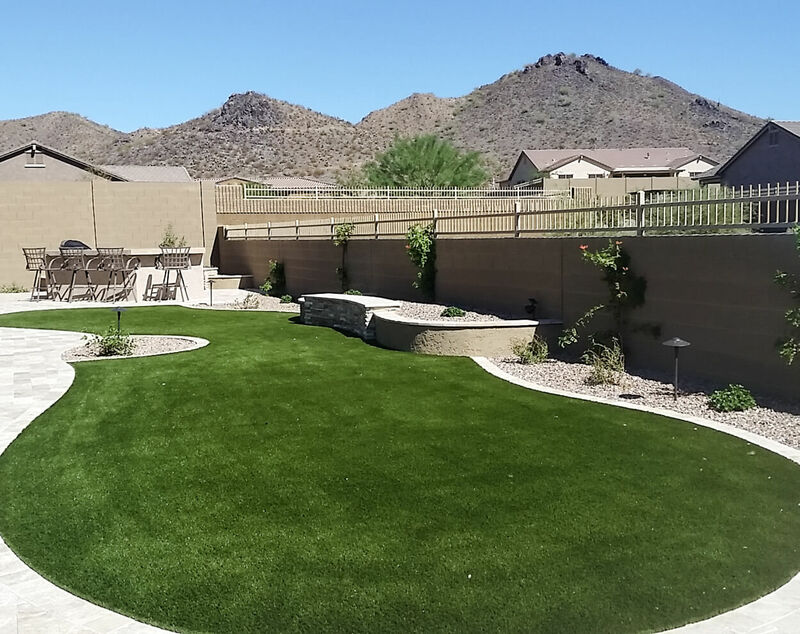 Modern turf can be almost indistinguishable from real grass. Its color and texture are spot on, and there is little to no maintenance. We know the best products that will give you the most realistic look and the installation will be flawless. 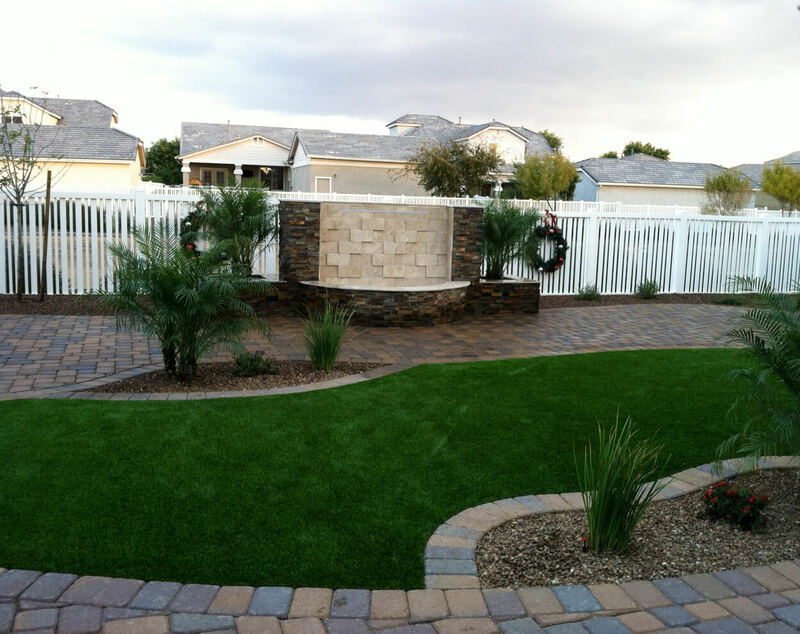 We have a lot of experience working with artificial grass. You’ll be amazed—your grass will look immaculate with no mowing, weeding, fertilizing, or watering. 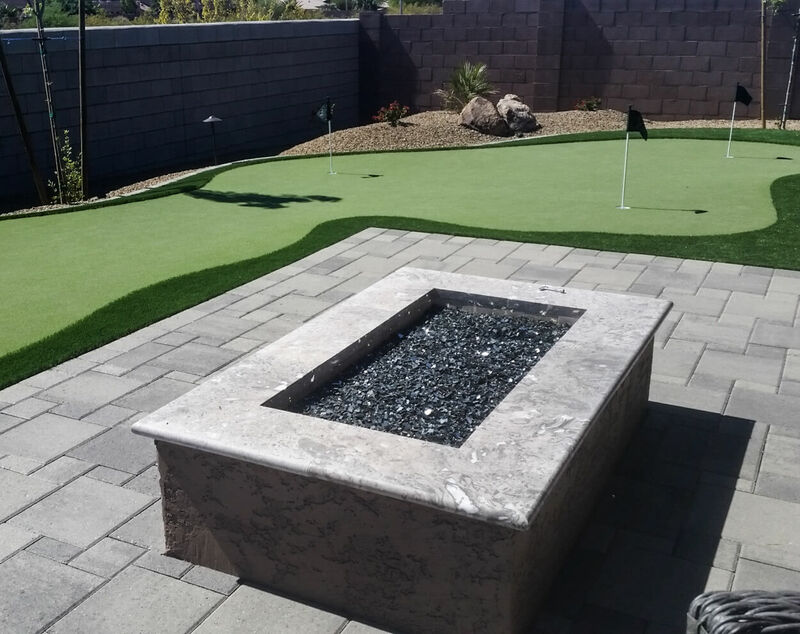 What golfer wouldn’t love a putting green in the backyard? Your short game will improve and it’s a great way to relax. 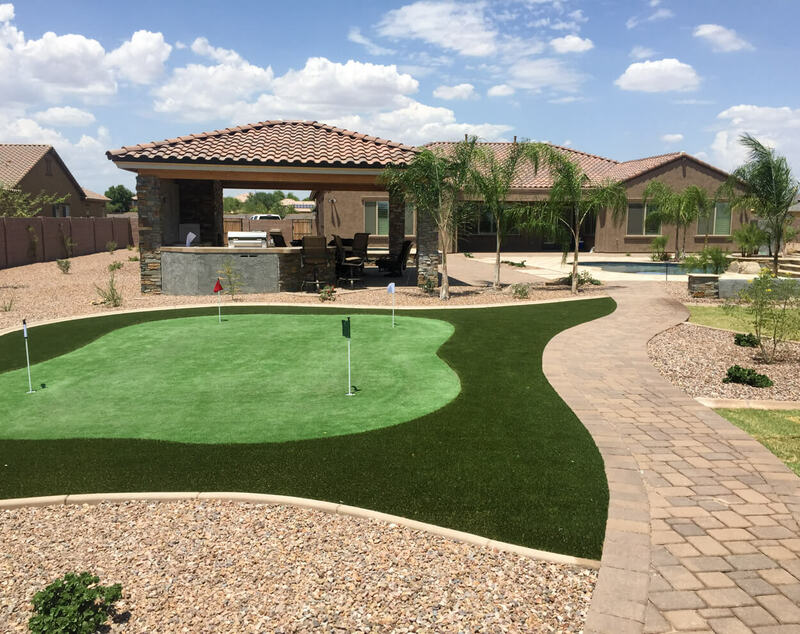 Whether you choose real grass or turf, we will create the putting green of your dreams complete with sand traps and a hole flag. They have pride in what they’re doing, and the nicest group of people I’ve had the pleasure to work with. It was unbelievable. © 2019 Straight Line Landscape.